“Since its FDA approval in 2014, the somatostatin analog lanreotide (Somatuline Depot) has been creating fresh options for select patients with gastroenteropancreatic neuroendocrine tumors (NETs), given the significant improvement in progression-free survival (PFS) demonstrated in this population. Editor’s note: In the U.S., a drug must be approved by the U.S. Food and Drug Administration (FDA) in order for it to be prescribed to patients with specific diseases. Particularly promising drugs might be granted Priority Review, meaning that the FDA agrees to work with the drug manufacturer to accelerate the approval process. The FDA recently granted priority review to a drug meant to treat a subset of pancreatic cancer tumors known as gastroenteropancreatic neuroendocrine tumors. The drug is called lanreotide (aka Somatuline Depot). The FDA’s decision was based on promising results for the lanreotide in a clinical trial that tested it in volunteer patients. “The U.S. Food and Drug Administration (FDA) has accepted and granted priority review to Ipsen’s supplemental New Drug Application (sNDA) for the somatostatin analog lanreotide (Somatuline Depot) 120 mg injection in the treatment of gastroenteropancreatic neuroendocrine tumors. The FDA designates priority review status to drug candidates that have the potential to offer a significant improvement in treatment compared to currently approved options. A decision is expected in early 2015. “In the United States, lanreotide is indicated for the long-term treatment of patients with acromegaly who have had an inadequate response to or cannot be treated with surgery and/or radiotherapy. The active substance in the drug is lanreotide acetate, a somatostatin analog that inhibits the secretion of several endocrine, exocrine, and paracrine amines and peptides. 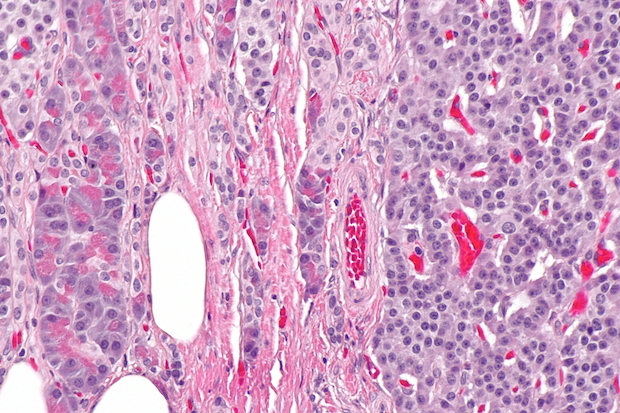 Editor’s note: This article describes three separate new findings in cancer research. The first is relevant for people with metastatic renal cell carcinoma (mRCC). Researchers have found that image-guided local ablation of tumors still has an important treatment role, even though there have been recent improvements in mRCC drugs. The second finding concerns people with metastatic neuroendocrine tumors (NETS). A clinical trial with volunteer patients found promising results for patients treated with the new drug lanreotide (aka Somatuline). The third finding has to do with preventing cervical cancer in women at high risk for the disease. The women involved in the study had high-grade cervical intraepithelial neoplasia (CIN 2/3), and were treated with surgical removal of the squamocolumnar junction (SCJ). These women had only low-grade recurrences, suggesting that removing SCJ cells might help prevent cervical cancer. “More than 80% of patients with metastatic renal cell carcinoma (mRCC) remained alive without disease progression 3 years after image-guided local ablation of tumors, a retrospective study showed. The gist: A clinical trial with volunteer patients tested the effectiveness of a drug called lanreotide for people with grade 1 or 2 metastatic enteropancreatic neuroendocrine tumors. The researchers found that, compared to taking a “fake” placebo drug, lanreotide increased the amount of time patients lived without their disease worsening. However, lanreotide did not improve overall survival or quality of life. “Lanreotide significantly improves survival among patients with metastatic enteropancreatic neuroendocrine tumors (grade 1 or 2), according to a study published in the July 17 issue of the New England Journal of Medicine. 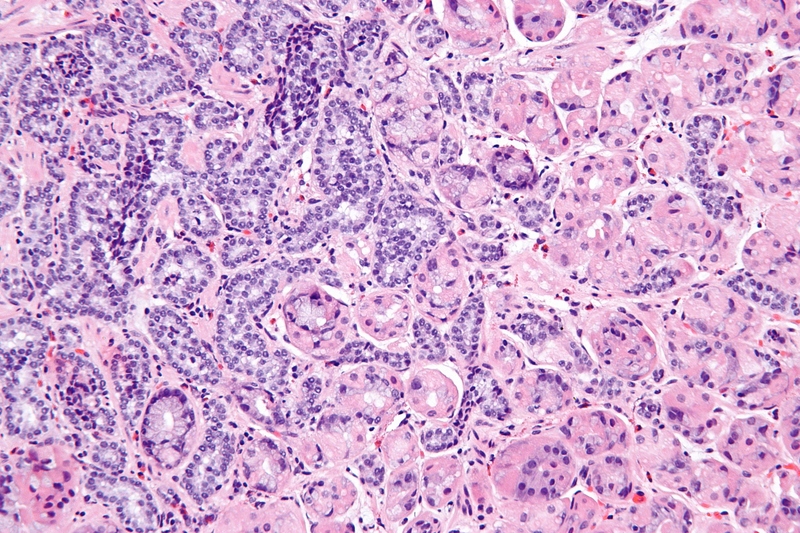 “Martyn E. Caplin, D.M., from Royal Free Hospital in London, and colleagues conducted a multinational study of patients with advanced, well-differentiated or moderately-differentiated, nonfunctioning, somatostatin receptor-positive neuroendocrine tumors (grade 1 or 2 that originated in the pancreas, midgut, or hindgut, or were of unknown origin) and documented disease-progression status. Participants were randomly assigned to receive an extended-release aqueous-gel formulation of lanreotide at a dose of 120 mg (101 patients) or placebo (103 patients) once every 28 days for 96 weeks.